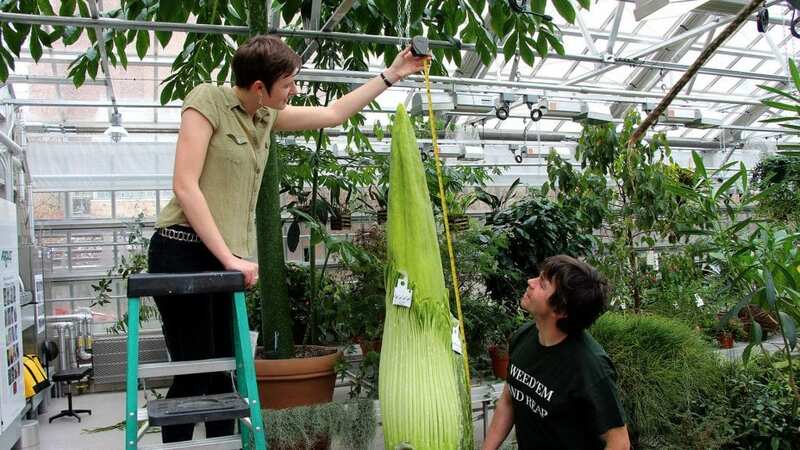 For updates on ‘Wee Stinky’ visit the Liberty Hyde Bailey Conservatory news feed. Our titan arums have moved to the newly re-opened Liberty Hyde Bailey Conservatory. Visit the Conservatory website to see hours when the Conservatory is open to the public, usually 10 a.m. to 3 p.m. most weekdays. View the 2017 Carolus growth chart at the Liberty Hyde Bailey Conservatory website.